Status 0xC000006D is specific for this issue. This problem occurs because of Windows security feature named loopback check functionality, which is by default enabled in Windows Server 2003 SP1 and higher. 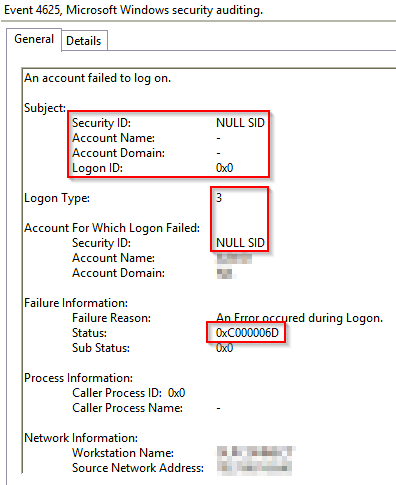 Therefore, authentication fails if the FQDN or the custom host header that you use does not match the local computer name. The resolution is described in Microsoft KB 926642. 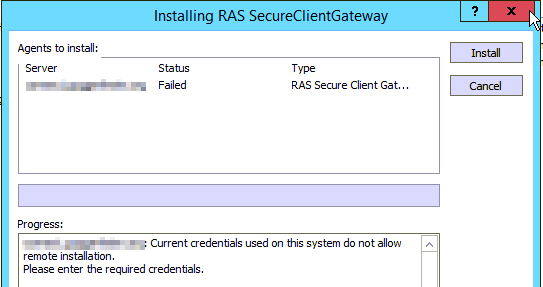 Launch Parallels RAS Console in elevated mode (Right Mouse Button click → "Run as administrator") and repeat the installation procedure. As for usual remote push installation cases, UAC must be turned off and TCP ports 135 and 445 must be opened.